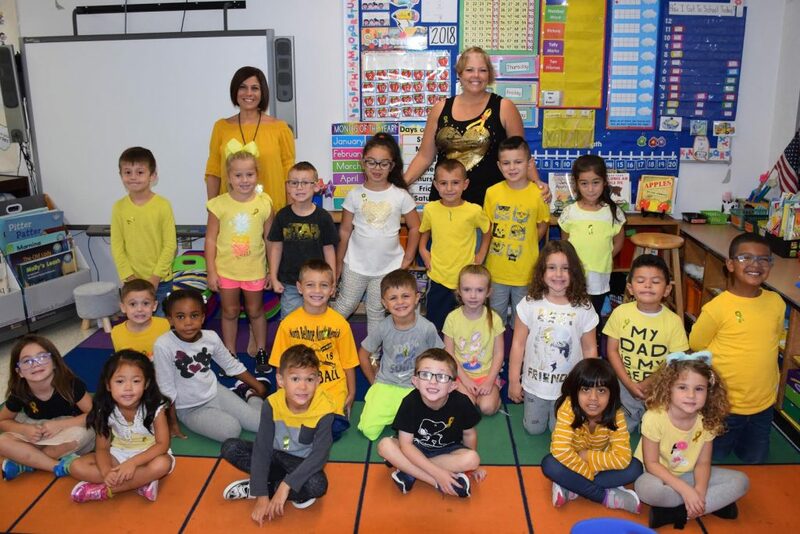 The North Bellmore School District continued its tradition of supporting those whose lives were touched by childhood cancer, as students and staff wore gold on Sept. 28 for Pediatric Cancer Awareness Month. The day took on special meaning at Saw Mill Road Elementary School, following the recent passing of 2018 sixth-grade graduate Dylan Murphy, who battled cancer for two years. Faculty and staff wore yellow ribbons with a Superman logo in Dylan’s honor, in addition to raising money for his family. On Go Gold Day, the PTA collected funds for the Ronald McDonald House, and organizations that provides children and their families with resources during cancer treatment. Park Avenue Elementary School hosted its Whip Pediatric Cancer fundraiser. Families were invited to make a minimum $2 donation and decorate a heart for pediatric cancer research, which were displayed in the lobby. During the summer, sixth-graders Emilie Fleming and Emily Flynn set up a lemonade stand and a rainbow loom stand and sold cups of lemonade and bracelets. They raised $750 for Memorial Sloan Kettering Hospital to optimize patient care and to train the next generation of doctors. 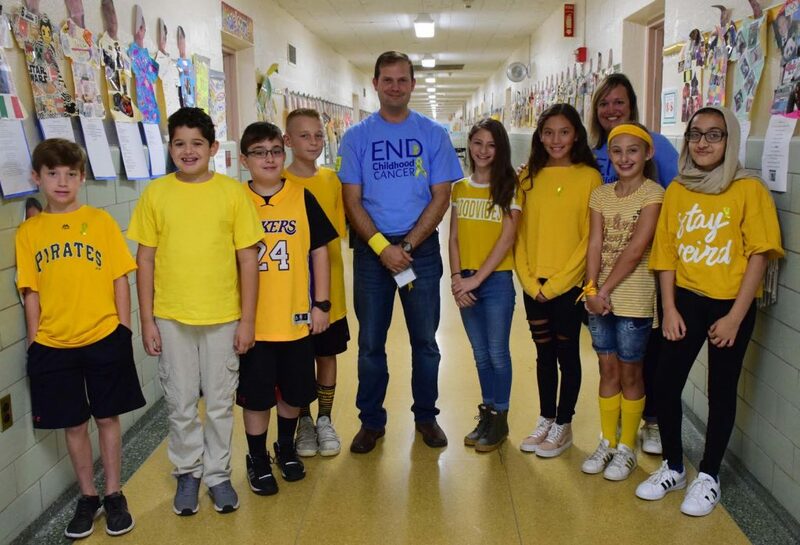 1: Saw Mill Road Elementary School Principal Jeff Rosof and Assistant Principal Danica Brugge were joined by sixth-graders who wore gold on Sept. 28 to mark Pediatric Cancer Awareness Month. 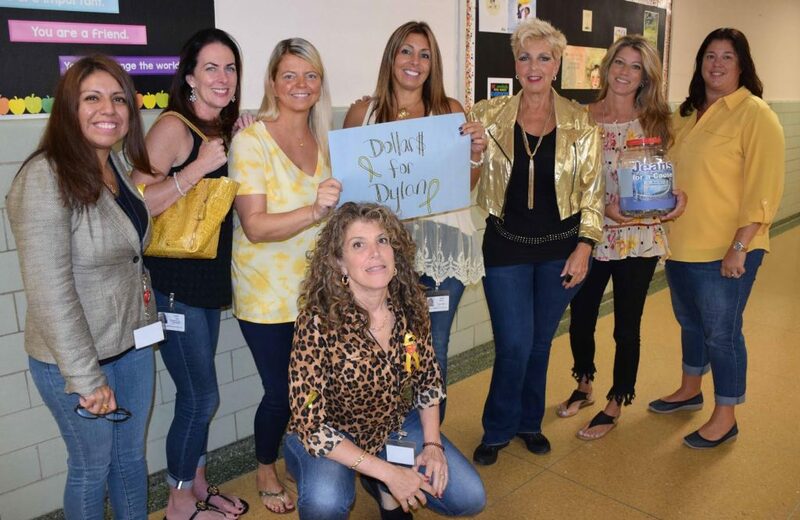 2: Saw Mill faculty and staff collected funds for the family of Dylan Murphy, a recent graduate of the school who died from childhood cancer. 3: Students in Patricia Graham’s kindergarten class were clad in gold.